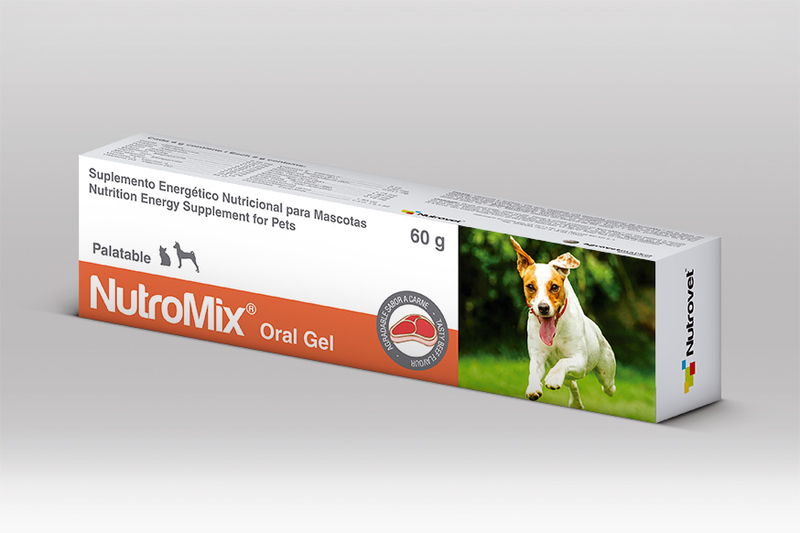 Energy nutritional supplement for pets. Indicated in canines and felines. High energy and nutritional supplement of high digestibility, with vitamins and minerals that also provides a high caloric contribution. Indicated in animals that require an extra supply of energy and vitamins in the diet. It can be used in patients in postoperative convalescence, as adjuvant in infectious diseases (bacterial or viral), parasitic and inflammatory. Periods of gestation, lactation, growth, geriatricians and stress. Geriatricians, weak animals and / or anorexic. 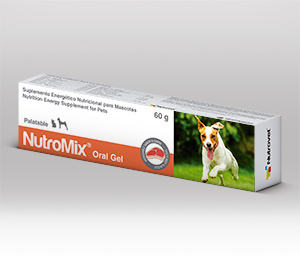 Place a small amount of NutroMix® on the patient´s mouth so it can recognize the flavour of the gel. Dietary supplement: ½ to 2 teaspoon per 5 kg body weight daily. Energy supplement: 3 teaspoon per 5 kg body weight daily. Note: 1 teaspoon equals 5 mL.